Every morning Pax comes in and snuggles me. Every morning – literally every morning since I returned home from surgery, he lies with me for almost a half hour. Every morning he wraps his chubby little arms around my neck. Every morning he strokes my cheek, kisses my face. And every morning we talk about my “boo-boos”. “Boo-Boo” he’ll say seriously, looking into my eyes. And yes, I’ll confirm. Mummy still hurts a little bit. “Hap. Eee. Mum?” he’ll ask. I am now, I say. With you in my arms? Always. I will honey. I’ll be as brave as I can. They found a tumor in and amongst the mastectomy tissue. A real one. It’s a tiny tumor, but invasive cancer nonetheless. I don’t yet know what my treatment plan will be, but we are meeting with the oncologist Monday. I’m trying – for so many reasons – to be brave. This entry was posted in Breast Cancer, LoveyDovey, Pax - 2 Years, Talking. Bookmark the permalink. You’ve got this. xoxoxoxoxox Sending so much love from Marquette. Shana, know that you have all the love and support you need from your family here in Winnipeg, and that we will send only good thoughts and prayers for you! XOXO And, give Pax a Big Hug from all of us here as he is a “Wise & Brave” little man. Thank you for sharing your story. I love Pax’s story. You are brave. Very brave. Love and prayers for you and your sweet family. Hope you don’t mind my coming to this blog through ANMJ, which I love. We haven’t met, and maybe never will, but I appreciate tremendously that you’ve helped end my total fashion S-l-u-m-p (I’m embarrassed to say how long a slump it had been)! I’ve been following your story, Shana, and hope the best for you. Truly. If you have a chance, as a busy mama with so very much going on, I encourage you to watch the documentary Forks Over Knives. I recently watched with my family, and I thought of you – like I would a close friend. I have no connection to the film, so I am not promoting from that angle, but the information presented was astounding! With my own health issues (frankly, pale in comparison to yours) coming to light while trying to conceive #2, I am working with hubby to learn more about and improve our family’s diet. We are not vegan or vegetarian, but…well…please watch if you have the time. Pax has a very old face. Precious. This post almost had me breaking down into a serious ugly cry. Your writing is so powerful. 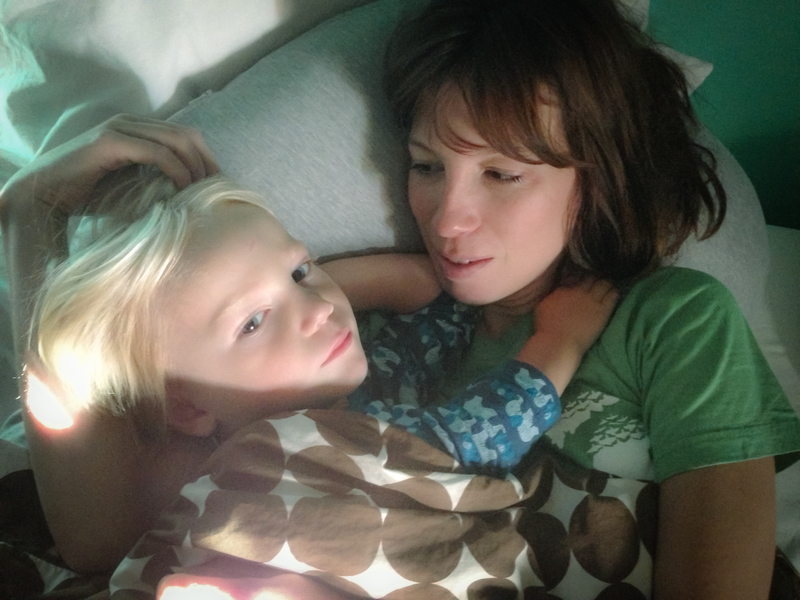 Your Pax… so precious and knowing and attuned. These little people, they know and see so much.